French authorities are going to great lengths to play down any concerns about Sunday’s fatal accident at the Marcoule nuclear complex in southeast France. “It was an industrial accident, not a nuclear one,” was the line echoed by several officials, stressing that no release of radioactivity was detected off-site. But given the notorious opacity of France’s nuclear/industrial establishment, skeptics are keeping a close eye whether the incident – in which one worker died and four others were seriously injured – is thoroughly investigated. And while it may become something of an issue in the upcoming French presidential elections, as the Socialists try to move France’s energy policy more toward renewables, my guess is that this incident is unlikely to produce a sustained anti-nuke backlash in this country which gets nearly 80 percent of its power from splitting atoms … though it probably should. Initial reports are that the explosion and fire came from a furnace that melts metal tools and other industrial items that contain low-level radioactivity. The fire was reportedly brought under control, and the French electrical utility EDF says the worker who died was killed by the blast, not by exposure to radioactive materials. The accident came at a particularly bad time for French authorities. Neighbors in Italy, Switzerland and especially Germany are backing away from nuclear power in the wake of Japan’s Fukushima catastrophe. 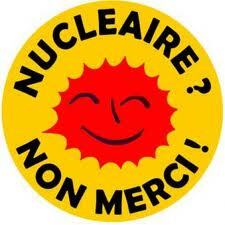 France’s response to the the Japanese meltdown was to subject its 58 reactors to a “stress test” to assure their safety. EDF was expected to deliver the results of those tests later this week. The Marcoule facility – which reprocesses spent nuclear fuel and performs other work but does not contain a generating reactor – was not tested. That decision is now likely to be questioned. Just as in Japan – and in the US, for that matter – the nuclear industry in France is deeply entwined with a regulatory process that knows how to work a balance sheet. As the New York Times pointed out in a series of stories exposing what it called “ … the collusive ties that bind (Japan’s) nuclear power companies, regulators and politicians,” this makes truly independent oversight unlikely. It’s amusing to me that conservative American pols and business-types who normally sneer at anything French (“Freedom Fries”, anyone?) consistently point to France’s nuclear program as a successful model of how it can be done right. But before the US cranks up its “Nuclear Renaissance,” it would be wise to take a much closer look at the risks – and especially the costs – of France’s voie nucleaire. Does you ever keep yourself awake at night thinking about how much of France’s power is nuclear-generated? I was just listening to a BBC story about Fukushima; the situation has long since dropped out of the news cycle, but it isn’t anywhere near resolved, whatever “resolved” might mean. I want to tell you how much I enjoy reading Salmon Nation Euroblog. I am old enough to remember that when nuclear energy was first promoted in the US, the phrase associated with it was “too cheap to meter”. Fifty years or so later we should be cautioning that nuclear power is simply too expensive to support. Catastrophes such as Three Mile Island, Chernobyl and Fukushima should make that clear, but we humans are slow to learn.